The Ukrainian presidential race has entered its final stage and the public is gearing up to cast its ballot. If recent opinion polls prove correct, election results could usher in a new political era for Ukraine. Eighteen candidates will be battling for the presidential seat on January 17. Among the candidates are incumbent President Viktor Yushchenko, Prime Minister Yulia Timoshenko, leader of the opposition Party of Regions Viktor Yanukovich, parliamentary speaker Vladimir Litvin and former Rada speaker Arseniy Yatsenyuk. A total of 256 observers from foreign states and 2,432 from international organizations have been registered by the country’s Central Election Commission, Kyiv Post reports. Russian MPs have also formed a delegation to monitor the vote in the neighboring state. “The State Duma has formed a delegation to monitor the presidential election in Ukraine. The Russian parliamentarians will be monitoring the ballot under the umbrella of the CIS Parliamentary Assembly,” Chairman of the State Duma Committee on CIS Affairs and Relations with Fellow Citizens Aleksey Ostrovsky told Interfax news agency on Monday. With just a week left before the vote, the campaign is heating up and rivals are trying their best in an attempt to attract more voters. According to Interfax, President Yushchenko received a warning from the CEC for using time on Ukraine’s TV given to him for covering his activities as the head of state for election campaigning. 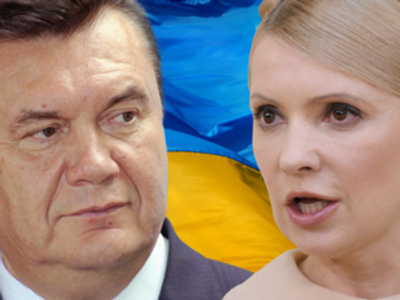 Meanwhile, Prime Minister and presidential candidate Timoshenko has accused Yanukovich for controlling the affairs of the commission. “Today, the country must know that the majority of the CEC, unfortunately, has been privatized by Yanukovich,” she is quoted by Kyiv Post paper. According to opinion polls and analysts’ predictions, Timoshenko and Yanukovich are the most likely to make it into the second round of the election. The leader of the Party of Regions is seen by many as the probable winner. Itar-Tass, citing Ukrainian Sociology Service head, Doctor of Sociology Aleksandr Vishnyak, writes that “only unforeseen circumstances may prevent Yanukovich from winning the second round” of the upcoming election. He said that in the second round 30% will vote for Timoshenko and 46.4% for Yanukovich. Former Russian Ambassador to Ukraine (2001-2009) and ex-premier Viktor Chernomyrdin agrees that Yanukovich is the leading candidate, but still prefers not to make forecasts. “I think that [Ukrainians] themselves will not say because they do not know. It is impossible to make predictions in Ukraine today,” he said in an interview with Russian newspaper Izvestia. Despite the predictions, Timoshenko, whose rating has fluctuated between 17-25%, is confident she will grab victory and become Ukraine’s next president. Meanwhile, the country’s incumbent leader, Viktor Yushchenko, has almost no chance since only 5% of voters still support him. Chernomyrdin said that the main difference between the presidential vote in 2004 and the upcoming election is that, at that time, Yanukovich’s main rival was Yushchenko, while now it is Timoshenko. Foreign media is also speculating on who will become Ukraine’s new leader five years after the so-called Orange Revolution brought Yushchenko – now hugely unpopular – to power. 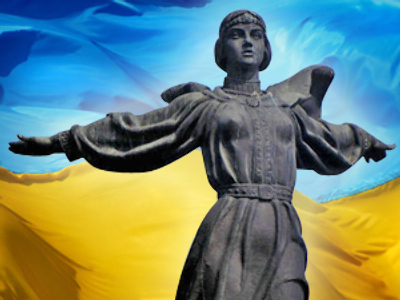 British newspaper the Financial Times writes that the Ukrainians, facing a dilemma over choosing between Timoshenko and Yanukovich, should focus on “political stability”. “Only a stable Ukraine can achieve economic reform and recovery. Ms. Timoshenko is the polar opposite of a stabilizing force. Mr. Yanukovich, for all his manifest faults, may prove the lesser evil. Pity Ukraine that it has come to this,” the paper wrote on Sunday. With the first round of elections scheduled for January 17, uncertainty regarding who is likely to remain in the race is dwindling. 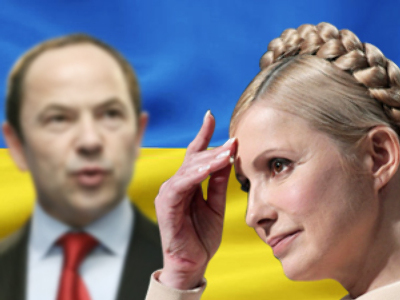 As many political analysts believe, Yulia Timoshenko and Viktor Yanukovich are the strongest candidates, and will most likely make it to the second round, scheduled for February 7.